A film made by a group of Manchester School of Architecture students as part of the History of Architecture course. Order revealed during demolition at 2-4 Oxford Road. 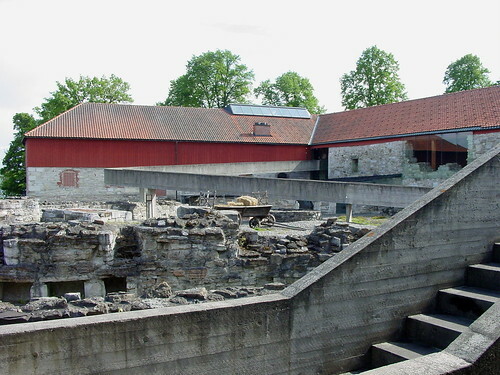 Compare with Leon Krier’s satirical reinforced concrete order from ‘Houses, Palaces, Cities’*. **The building in the background is the former Refuge Assurance building (now Palace Hotel) designed by Paul Waterhouse 1891-1912. The apparition of Joel Shapiro’s suspended sculpture ‘Verge’ hovering since November 2008 between the (soon-to-be-completed) paired facades of the architect Eric Parry’s 23 Savile Row, London calls to mind the placing of Sir Joseph Epstein’s ‘Madonna and Child’ (1953) on the new bridge between the paired facades (prior to 1771) that served as the Convent of the Holy Child in Cavendish Square a few hundred yards to the north. Both sculptures, despite their differences of idiom and attitude to meaning and representation, share the material weight of cast bronze. But above all they complement the classical backdrops against which they sit – sober, versatile, eternal. Sir John Summerson speculated in a footnote in his seminal ‘Georgian London’ that the grand columns and pediments of the Cavendish Square buildings were a fortuitous exploitation of building materials already prepared and on site for an earlier (1743-56) but abandoned project for the Society of Dilettanti. 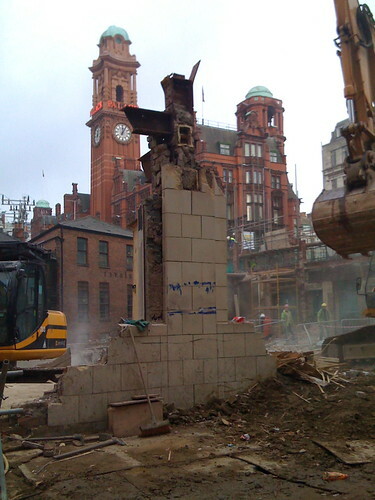 CiA are saddened to witness the demolition of 2-4 Oxford Road in Manchester. 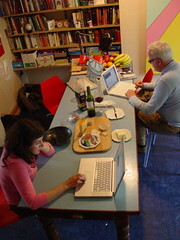 It provided an atmospheric and convivial, though cramped, studio space in the early hopeful years. We need more spaces like that in the city not less. Editor’s note: Projects conceived at 2-4 included schemes for Bradford, Davis, Genoa and Llangadfan. 2-4 Oxford Road was the birthplace of Camlin Lonsdale Landscape Architects and the site of Eleri Mills’ Manchester studio. The church interior, then recently completed, is used in the film as the setting for an encounter between Marcello and his intellectual friend Steiner, who plays Bach’s Toccata and Fugue on the church organ. James is also researching at the Scots College, searching for evidence of the influence of Rome-trained clergy on the architectural direction of the Archdiocese of Glasgow and their commissioning of Coia. 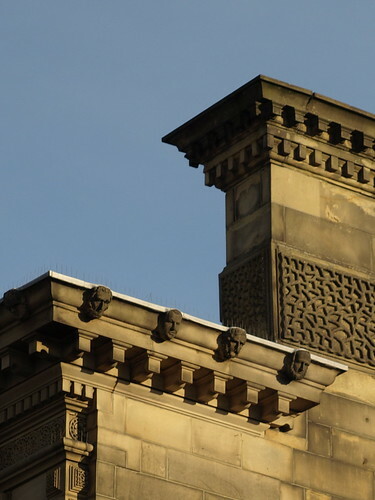 Cornice detail on the (now empty) Midland Bank, Fishergate, Preston. This is the grandest grouping of the Acroplis. The way in which the whole, in solemn square masses, piles up-the temple dominating all-is marvellous. It is finer, I am sure, in ruin, than it ever was in perfection. Lithograph and description by Joseph Pennell from his book Pictures In the Land of Temples (William Heinemann 1915). According to his introduction to the book Pennell went to Greece because I was told by a Boston authority that I was nothing but a ragtime sketcher, couldn’t see Greek art and couldn’t draw it if I did. He goes on to say: These were the things I saw. Had I known more I might have seen less-for it seems to me that most artists who have gone to Greece have been so impressed with what they were told to see that…they have looked at the land with a foot-rule, a translation, and a dictionary, and they have often been interfered with by these aids…When I got to Athens I fell among friends, who answered my only question that “I wanted to see temples that stood up”. Door handle at Mont-de-Huisnes German war cemetery, Normandy (built 1967).